Growing up, I was rarely exposed to simple conservation practices: recycling, saving water, energy consumption. Unfortunately, this is common for many people in America, or if they are, they believe that it doesn’t directly affect them, or that if *one* person doesn’t practice conservation, it won’t make a huge difference. However, this is the huge concern for conservation. For the earth. For the future. 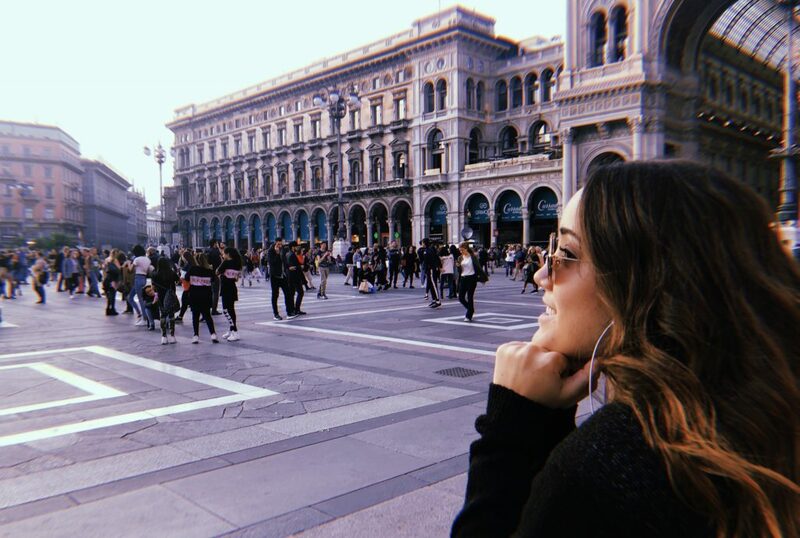 In the fall of 2018, I lived in Milan, Italy while I was studying abroad. While there, I quickly learned how dedicated to preserving the environment the country truly is. A simple careless toss of trash in the incorrect bin could cost you hundreds of dollars in fines. So of course, I began to recycle religiously. But Italy doesn’t just stop at recycling. Energy use is monitored by the city itself – at a certain time every evening, your heating will turn off and will start again in the morning; you can only use so many appliances at once, because that’s the maximum amount of energy allowed; only so many gallons of water (and hot water especially) are available for use at a time. (Also, fun fact: the tap water in Italy is cleaner than bottled water.) Of course, living and adjusting to this, I realized that these are all good practices. But knowing the effects of this for people and the environment, as well as how simple it is to implement, made me super aware of conservation, and super irritated that this wasn’t the standard everywhere. I took a fashion course in which we had many guest speakers, from third party marketing companies to Ray-Ban, Calvin Klein, and Stone Island. Each speaker had a huge dedication to conservation. I learned that the fashion industry is cause for 10% of the world’s CO2 emissions and is the second most polluting industry behind oil. With the rise of fast fashion, companies are producing more and more often. Clothes are not made with sustainability on purpose and consumers are not educated on how to properly dispose of clothing, developing into an extremely wasteful combination of transactions and manufacturing. I believe that the time is now, was yesterday, and will be tomorrow as well to make sustainability and conservation the standard; preservation should no longer be the afterthought. Take time to pay attention to what you consume and how you consume it – when? Why? How often? And find room for improvement. Take an extra step for conservation, take another one tomorrow, and eventually you have gone the extra mile. Regardless of how familiar you are with environmental practices or how to contribute, you can start learning today. The future of my tomorrow, their tomorrow, and your tomorrow begins today. And why stop at your individual life? At Texan by Nature, business and conservation are brought together to make a difference in the lives of many. Each project, each organization, each team works as a unit to ensure environmental health and availability for the future. They commit as an organization to conserve nature as we know it today and improve it for the people of tomorrow. In my opinion, this needs to be the standard for people and businesses everywhere in today’s society. We need to make conservation a priority now, not later. I have learned this, and I still have consumption habits that need some work. But I’m committing myself to make the effort, one step at a time. What started across an entire ocean was important enough to stick with me, and I brought it back home to Texas – for my life, and for yours. And that’s what makes me Texan by Nature.